April was a busy month. We took a trip to the beach for the Sandestin Wine Festival, went to Auburn for A-Day and Easter, and did a cooking demo at AllSouth Appliance in Hunstville! Squeaky is doing great. She has managed to have Chicken Legs wrapped around her paw. We haven't had any more issues with her peeing outside the litter box. Jack is doing better around her, but Fluffy is super aggressive around her. Hopefully that will work itself out soon. The biggest news from April is that Chicken Legs started a new job! 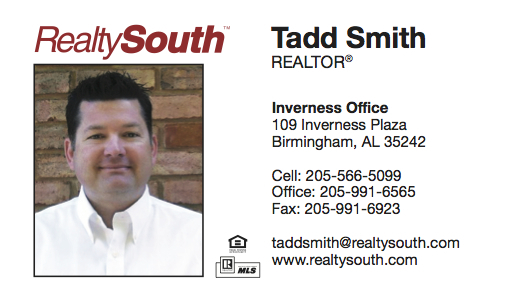 If you need to buy or sell a house, give him a call! Here are a few finds from April, some freebies and a couple of giveaways! 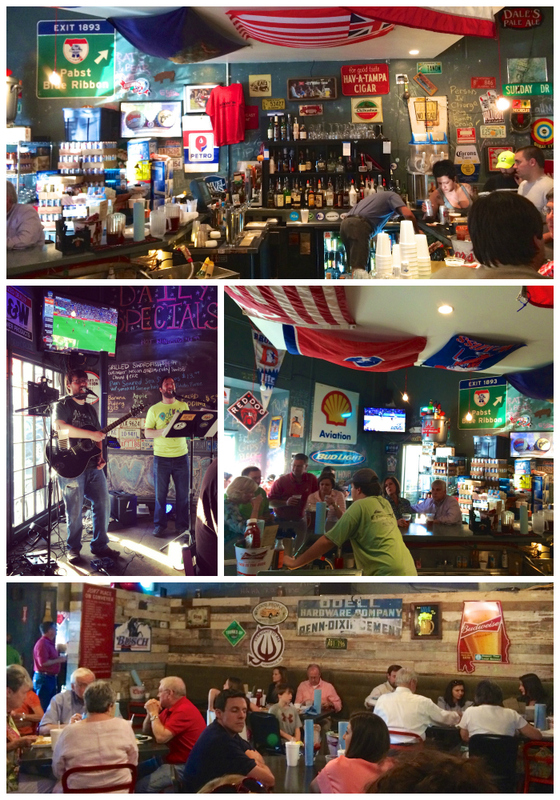 We have a new food obsession - Saw's Juke Joint in Crestline Village. We've been going to the original Saw's for years. It is, hands down, the best BBQ joint around. 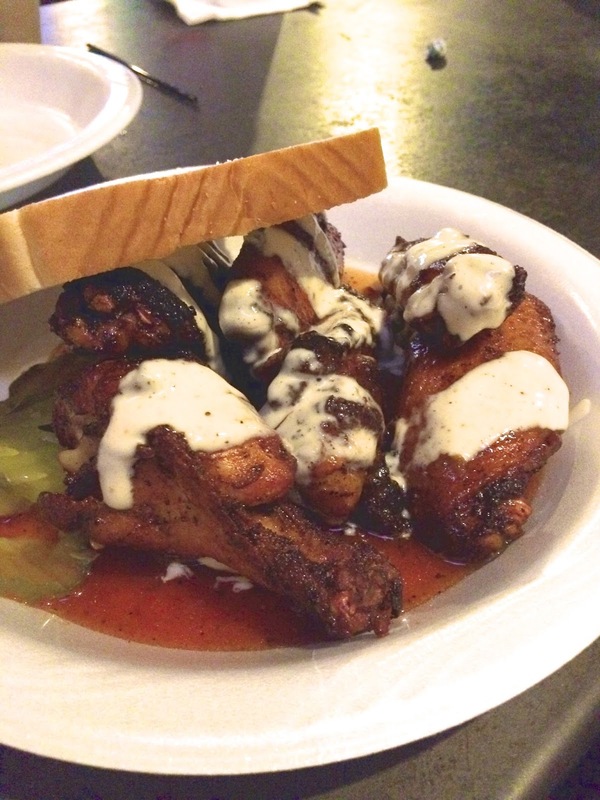 We finally got around to trying the Juke Joint last week and we can't get enough of it. We ate there for lunch on Friday and dinner, with friends, on Saturday. We could have gone back on Sunday, but we didn't. We've eaten BBQ from the so-called "BBQ Gods" - Chris Lilly/Big Bob Gibson's and Myron Mixon/Jack's Old South. Their BBQ is good, but nothing special in our book. We think Saw's is 10-times better! Their pulled pork, smoked chicken, BBQ sauce and white sauce are the best we've had. The Juke Joint is a fun place. It is decorated with metal signs, chalkboard walls, and they have live music. I was told that I had to try the Smoked Wings. We did, and they are the best wings I've ever had. They are drenched in Saw's BBQ sauce and then drizzled with white sauce. I could eat these every single day! I can't stop thinking about them. I had the Sweet Tea Fried Chicken Sandwich both days. It is the best fried chicken sandwich I've ever had! THE BEST! I already want to go back and eat it again. Chicken Legs got the Saw's Burger at lunch, and the Smoked Chicken Sandwich at dinner the next day. Both are fantastic! 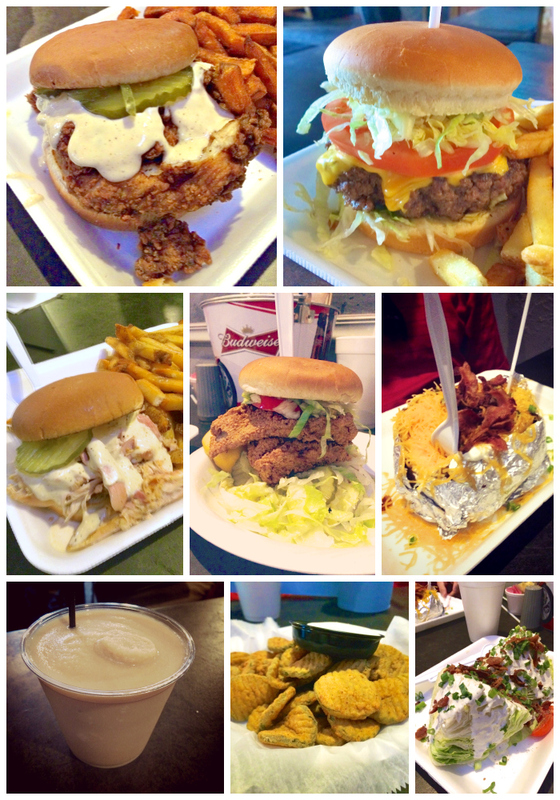 The Fried Catfish Sandwich is not to be missed. If you don't want it fried, you can get it grilled or blackened. The stuffed potato is HUGE and loaded with cheese and bacon. Chicken Legs discovered a new to him drink - the Bushwacker. He loved it. Be careful, they will sneak up on you! You can't go wrong with an order of Fried Pickles. If you are looking for a "healthy" option - the wedge is a possibility. It is a half a head of lettuce - make sure you have a friend to share it with. 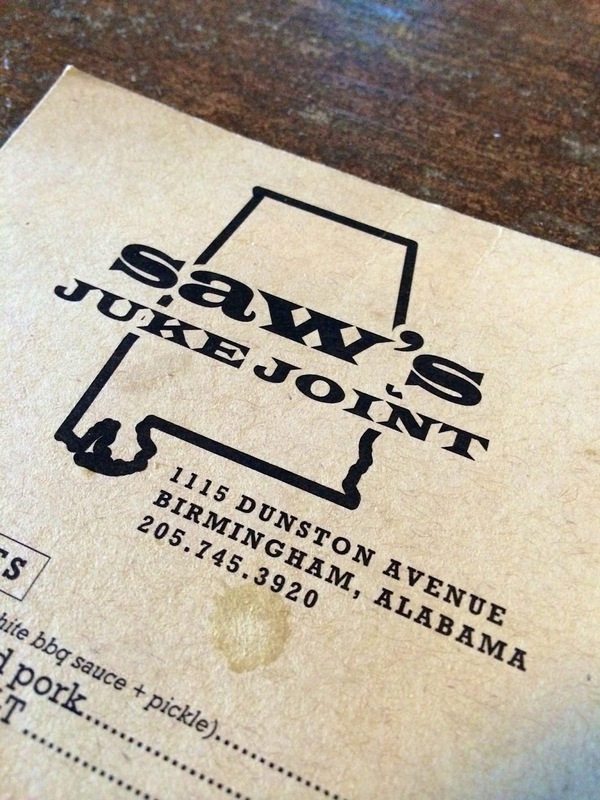 If you are in the Birmingham area and looking for a fun, casual place to eat with amazing food - head over to Saw's Juke Joint. You won't be disappointed and you won't leave hungry! 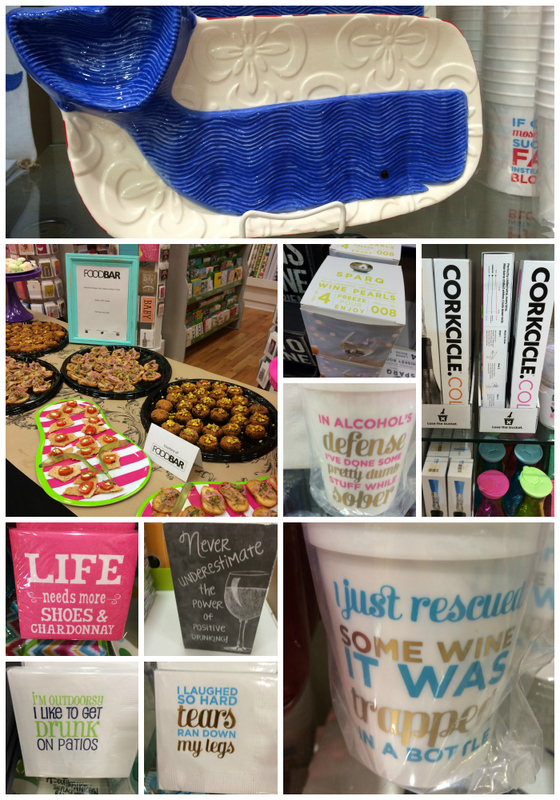 I was invited to a blogger event at the new Swoozie's store at The Summit in Birmingham. They relocated next to Bed, Bath and Beyond. Have you ever been to Swoozie's? I love it! They have tons of great stuff. Baby gifts, custom invitations, monograming, jewelry, thank you notes, cute entertaining items. My favorite is all the entertaining stuff. I "need" all of it! I love, love, love all the funny napkins and cups. "I just rescued some wine. It was trapped in a bottle." "I laughed so hard tears ran down my legs"
They have Corksicles to keep your wine chilled - I've always wanted to try it out. My favorite item in the store this time was the whale chip and dip tray. It was calling my name! It took all of my self control to leave it in the store. If you are near Birmingham, Swoozie's is having an open house today from 11AM-2PM. Go check out the store, have a mimosa and shop! They will be having sweet treats from Gigi Cupcakes, and there will be a trunk show from Over the Moon. Plus you get a $10 monogramming pass for the month of May with any purchase. My friend, Kimra, gave me these luggage tags for my birthday. They are awesome! Chicken Legs especially loves his. They have a lot of color combinations to choose from. They are great for finding your bag on the luggage carousel. 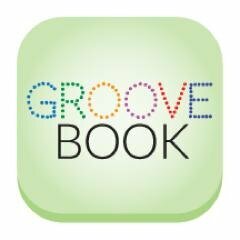 Have you heard of GrooveBook? It is an app that lets you upload 100 pictures a month and they send you a photo book of all photos. It is a great way to get all those photos off your phone. 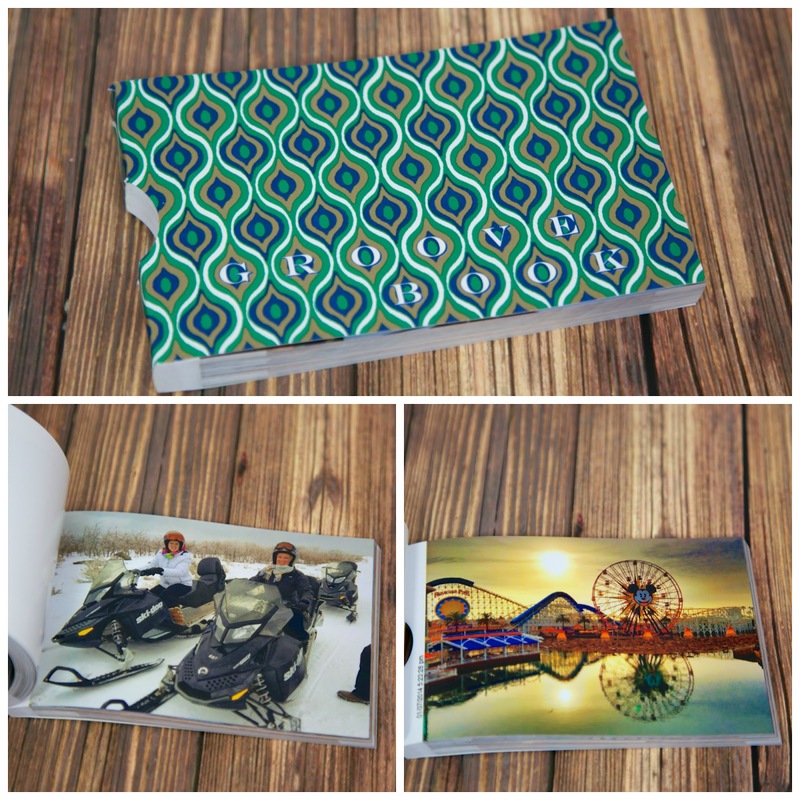 The pages are perforated, so you can tear out the pictures and frame them or give them away. It makes a great gift too! Think Mothers Day, Fathers Day or Christmas. The best part about the app is that it only costs $2.99 for each book! That includes shipping. Download the app, follow the signup instructions and enter the code at checkout. I finally broke down and bought an Erin Condren organizer. I bought the Take Note! Notebook and added a calendar to it. I chose a cover design that I could upload photos to. I love it! I love the cute colors and the stickers! Stickers make everything more fun. There are stickers preprinted for birthdays, games, parties, mani/pedi, hair appt, vegas! There are options to add customized stickers. I will do that next year. The Take Note! Notebook has tons of lined pages, a few unlined pages, a pocket to keep stuff in and a zip pouch at the back. I use the lined pages to jot down recipe ideas, weekly menus and grocery lists. I love having everything in one place! If you want to order an organizer for yourself, you can get $10 off with this link. Have you heard of Canva? It is an online graphic design site. I found Canva when I was looking for an online tool to make my new Twitter header. Canva gives you everything you need to easily turn ideas into fantastic designs. They have templates, over a million images and thousands of fonts to choose from. You can create designs for Web or print: blog graphics, presentations, Facebook covers, flyers, posters, invitations and so much more. Canva was so easy to use. Simply search for graphics, photos, and fonts, or upload your own, then use Canva’s drag and drop tool to create a design. You can design with hundreds of free elements and fonts, or choose from their library of more than 1 million premium images for $1. They have tons of collage templates, TONS! Oh, the possibilities! I could spend hours playing around on this site!!! Cinco de Mayo is my favorite "foodie" holiday. 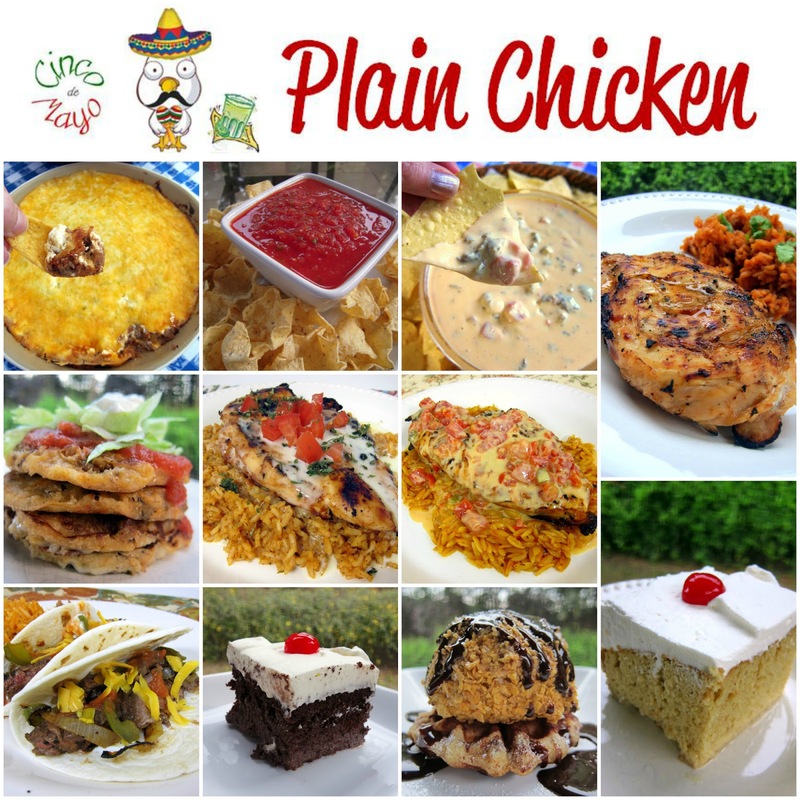 Here is a roundup of my favorite Tex-Mex recipes! Mother's Day is next weekend. 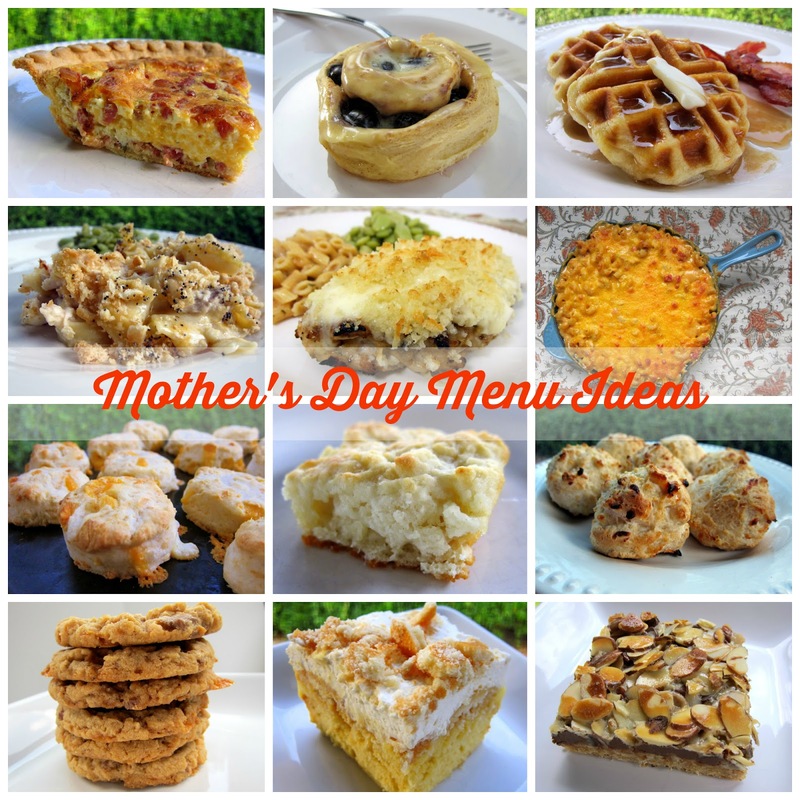 Here are some ideas to treat Mom to a delicious meal on her special day! 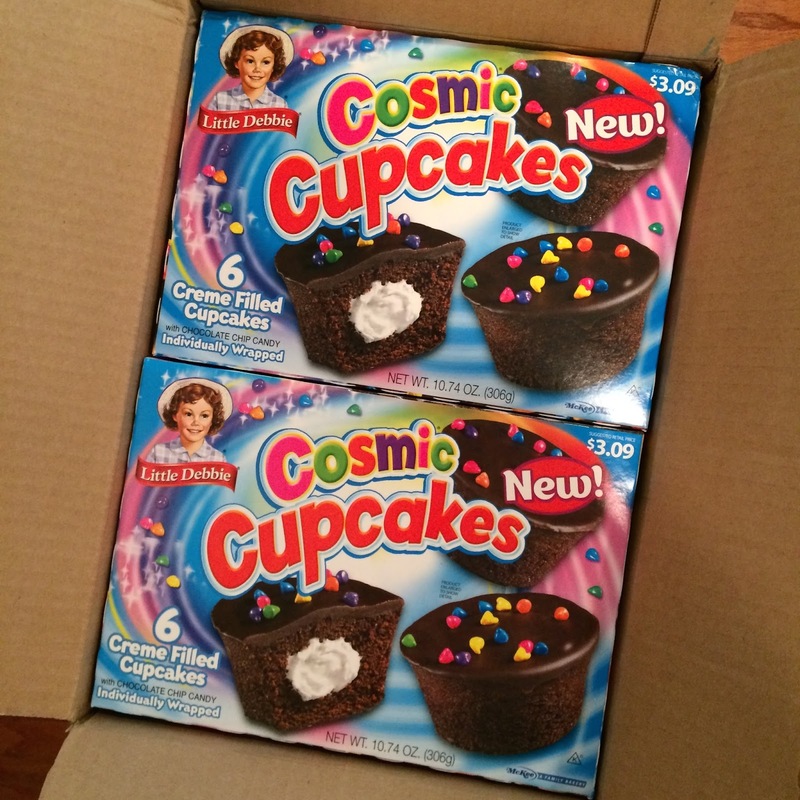 Little Debbie sent me a case of their new Cosmic Cupcakes. I shared several boxes with family and friends, and everyone raved about them. Little Debbie wants to give one lucky Plain Chicken reader a case of their very own! 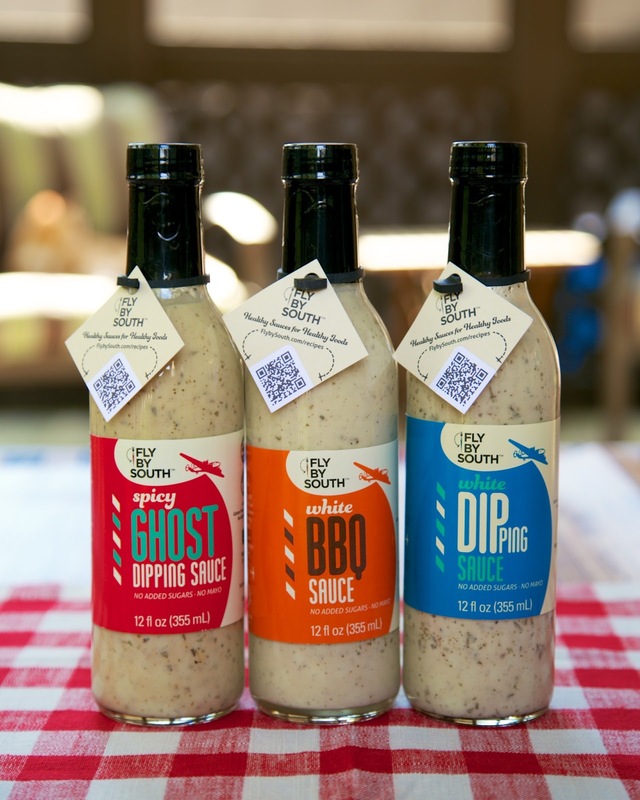 Fly by South White BBQ, White Dipping and Spicy Ghost Dipping Sauces are all-natural, gluten-free, soy-free and contain no added sugars, and no mayonnaise. They are cider vinegar and olive oil based. 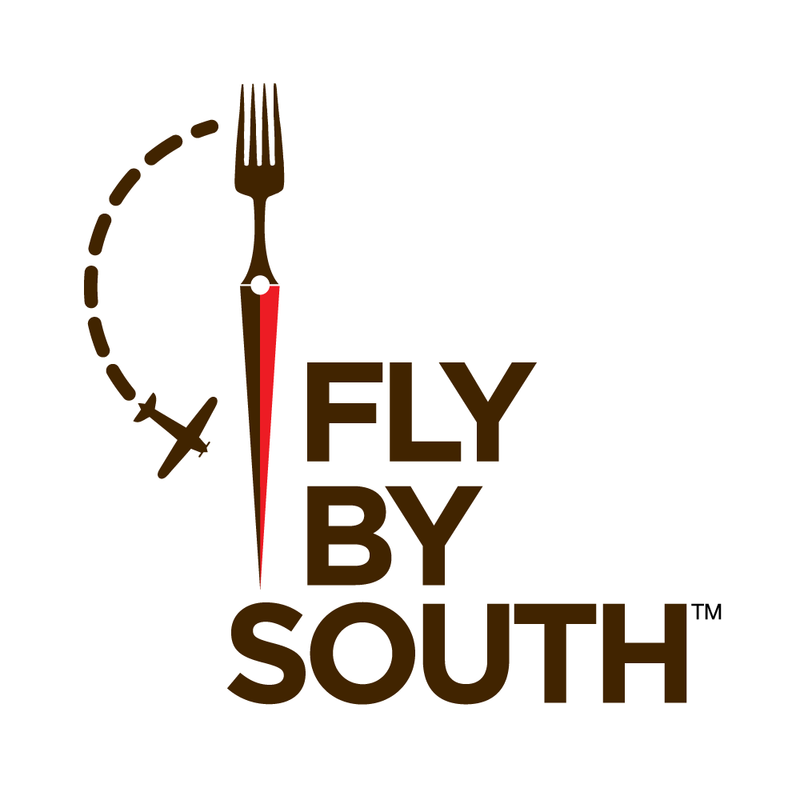 Specifically designed for chicken, fish and seafood, veggies, and even pork, Fly by South sauces have a tart-on-takeoff with a smooth hint of sweet-on-landing flavor. They are healthy sauces for healthy foods and made in the South! They contain less sodium per serving than most ketchup, mayonnaise, salsa, tarter sauce, cocktail sauce, or sale dressings. 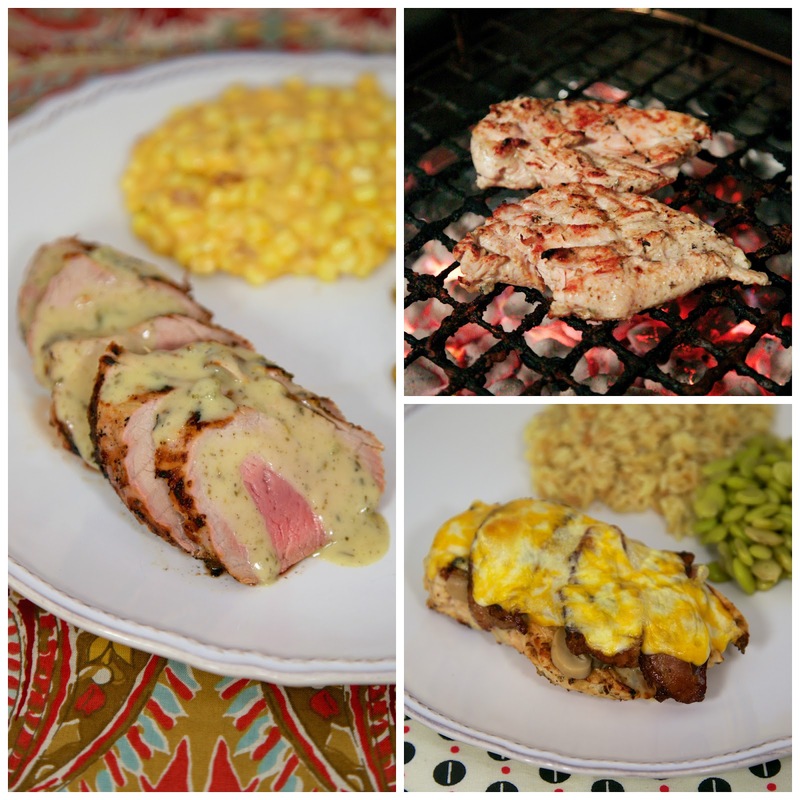 Fly by South White BBQ Sauce marinated your healthy meats and veggies in 30 minutes and is perfect for grilling, baking, or panfrying. We used the sauces on pork and chicken. We marinated the meat in the White BBQ Sauce. We drizzled some of the Spicy Ghost Dipping Sauce on top of the pork. It had a kick of heat, but wasn't overwhelming. We topped the chicken with the White Dipping Sauce, mushrooms, bacon and cheese. It was delicious! Chicken Legs asks to make this all the time. 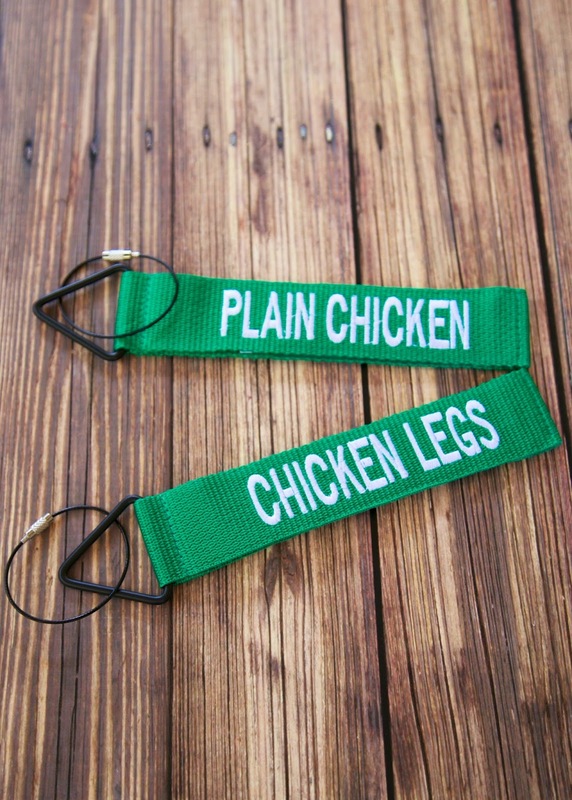 Fly by South is going to give one lucky Plain Chicken reader a 6-pack of sauces. You will get 2 bottles of each sauce! Perfect timing for Memorial Day! Both giveaways end Sunday, May 11, 2014 at 11:59PM CDT. The winners will be contacted via email and have 48 hours to respond. If winner does not respond, a new winner may be generated. Good Luck! Ohhh, I LOVE this groove book idea! I never do anything with the photos on my phone, this is perfect! I'll be trying it as soon I get my phone (and photos) back from being repaired by Apple! Thanks for sharing!